Organic dandruff shampoo , Benessence. 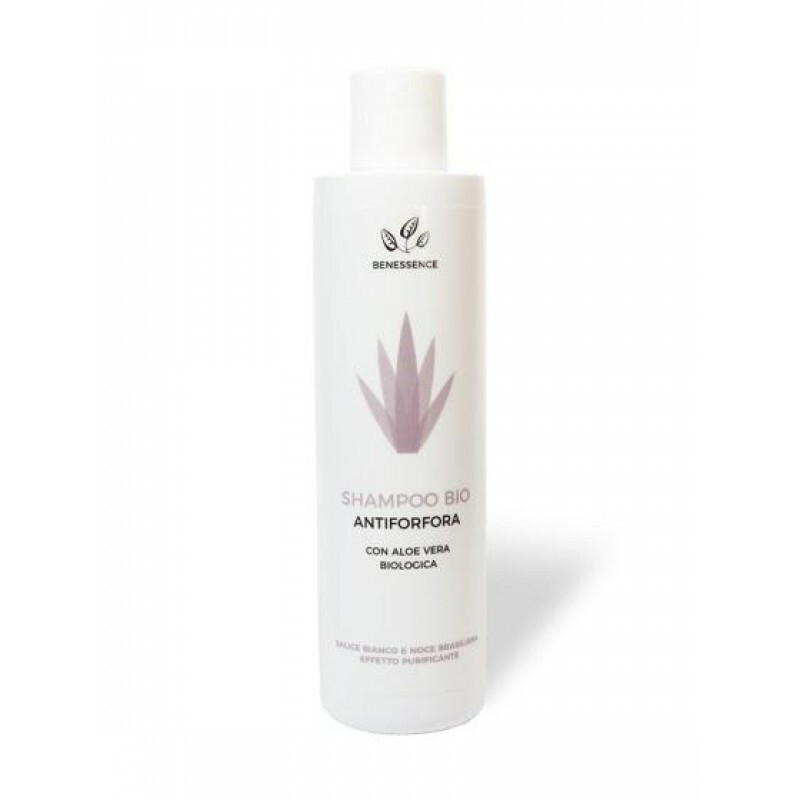 Organic Anti-dandruff Shampoo in Organic Aloe Vera with White Willow and Brazilian Walnut with Purifying Effect. Shampoo based on pure Aloe Vera juice, ideal for naturally combating the annoying and embarrassing problem of dandruff. Aloe vera juice is extracted from the organically grown Aloe Barbadensis Miller plant. The formulation combines the regenerating and anti-itching action of Aloe Vera with the anti-dandruff action of Piroctone olamine. Copaiba Balsam and Brazilian Walnut seed oil (rich in selenium and beta-caryophyllene) in synergy with white willow extracts, help to naturally reduce dandruff formation. Moreover, the extracts of Nettle and Linseed are excellent anti-dandruff and natural purifying. Wheat proteins and inulin are characterized by a protective, nourishing and restructuring action towards fragile and brittle hair, giving soft and smooth hair. How to use : pour a dose of product on the palm of the hand, apply to wet hair, emulsify and rinse thoroughly. Repeat the operations if necessary. Ingredients : Aloe Barbadensis Leaf Juice, Sodium Coco-sulfate, Lauryl Glucoside, Aqua, Glycerin, Copaifera Officinalis Resin, Bertholletia Excelsa Seed Oil, Coco Glucoside, Glyceryl Oleate, Urtica Dioica Extract, Salix Alba Bark Extract, Linum Usitatissimum Seed Extract, Inulin Hydrolyzed Wheat Protein, Piroctone Olamine, Benzyl Alcohol, Tetrasodium Glutamate Diacetate, Citric Acid, Sodium Benzoate, Potassium Sorbate, Dehydroacetic Acid, Parfum.